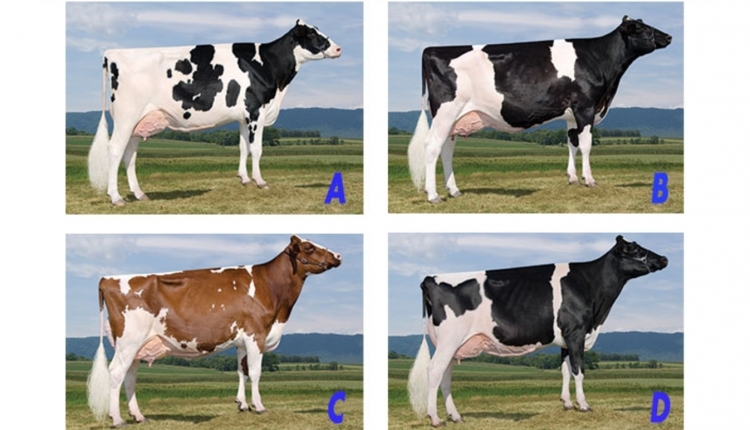 C B D A is my placing in this fine class of 3-year-old Holstein cows. 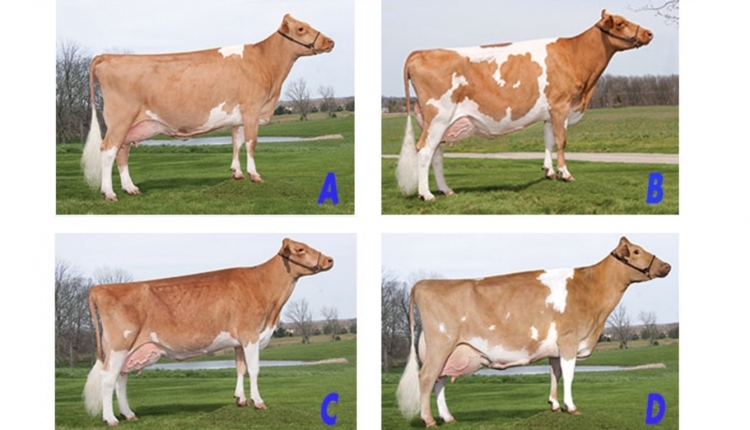 Certainly, a handy winner in C as she has the best udder in the class, being higher, wider and fuller at the top of her rear udder than B. Additionally, C is wider in the chest floor and deeper in her fore rib. Still further, she is longer and wider from hips to pins than B. I grant that B has her teats placed more centrally on her quarters. In my middle pair, B places over D on her advantage in dairyness. B is longer and leaner through her head and neck, sharper down her topline and cleaner over her hips, pins and thurls. B is also higher and wider at the top of her rear udder attachment and longer and smoother in her fore udder attachment. Furthermore, B is cleaner and flatter in her hock. I realize that D has more spring of fore and rear rib. Finally, in a close placing, D places over A on her advantage in feet and legs. She has a more desirable set to her hock, noticing A has too much set. In addition, D is stronger in her pasterns and deeper in her heel. She also stands straighter on both her front and rear legs. D is also more level on her udder floor and blends more smoothly from neck to shoulder and shoulder to barrel than A. 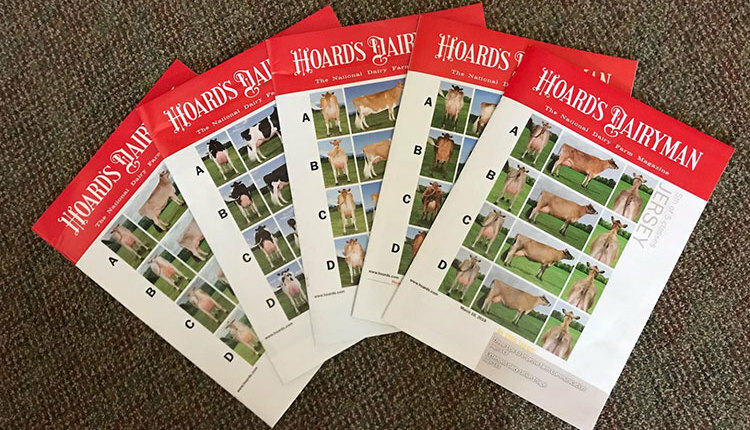 Although I admire the black cow for having more bloom to her udder, she lacks the correctness of feet and legs to merit a higher placing in this class of Holsteins. Ryan placed the HOLSTEINS. Chad and his wife, Amy, assist with the day-to-day operation of their family farm, Ryan-Vu, which includes an 80-cow herd of registered Holsteins. The Ryan-Vu herd has a BAA of 111.9 and has bred or developed seven All American nominees. In 2012, Ryan judged the Southern National Junior Holstein Show, the Aguascalientes Spring Show in Mexico, the All American Red and White Show and served as associate judge for the International Ayrshire Show. 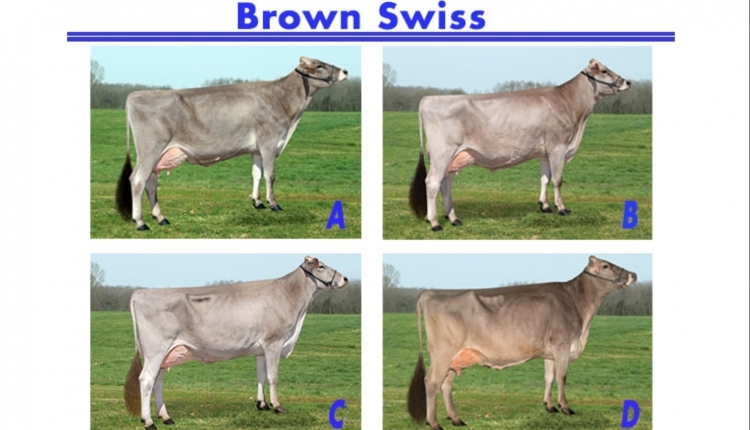 He has also judged the Ayrshire, Brown Swiss, Guernsey and Jersey state shows in Wisconsin. Click here to see more classes in the 2013 Cow Judging Contest.